The Azure Building will comprise 135,000 sq. ft. of highly efficient, ‘Grade A’ office accommodation. 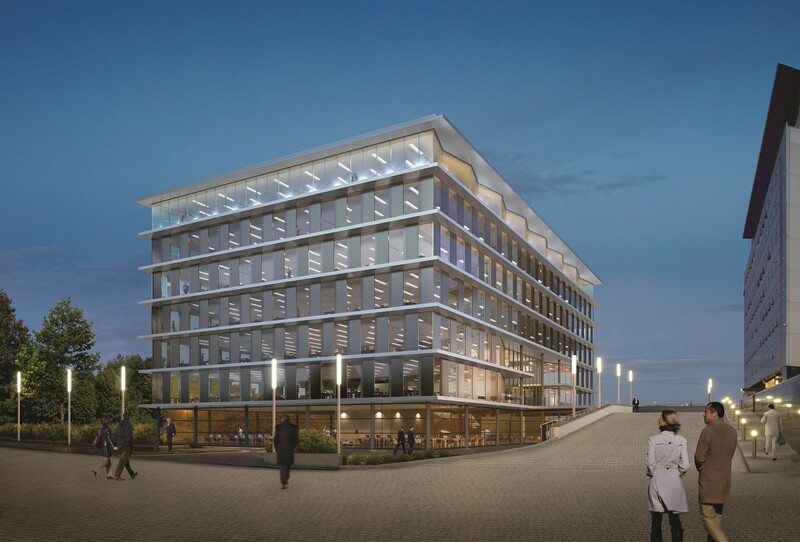 It has an imposing frontage to The Clydeside Expressway and will be located adjacent to the campus’ main building, Skypark 1, with immediate access to all transport links and all the shops, independent bars, restaurants and leisure facilities the area has to offer. Intelligent design, sustainability and fine materials ensure that everything is in place to meet all the needs of modern business. Larger than average light flooded floor plates offer panoramic views of the city and surrounding area, creating an environment that your team will love to work in. An extremely generous car parking ratio of 1:865, showers and cycle storage complete the picture.